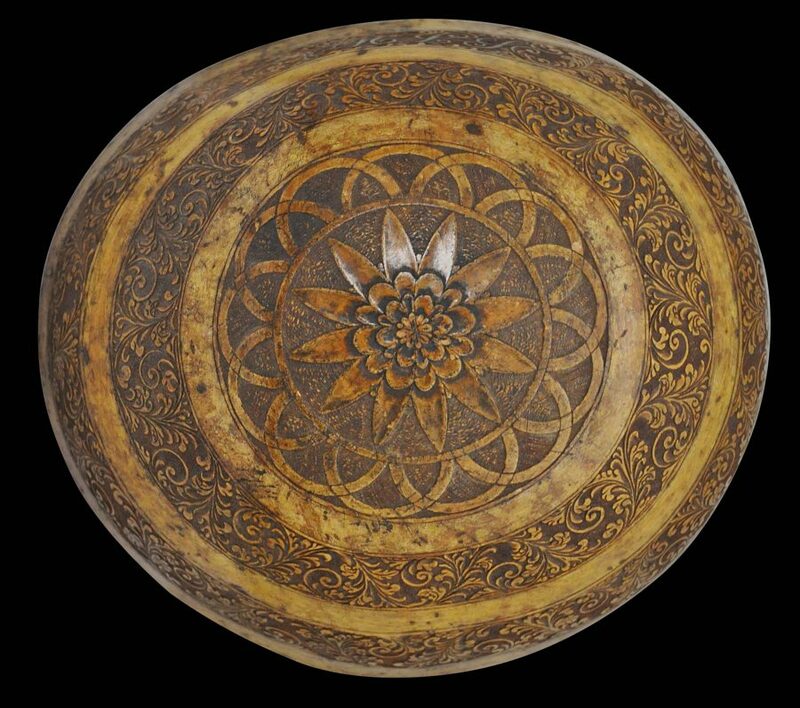 This superb drinking bowl has been made from a large gourd. 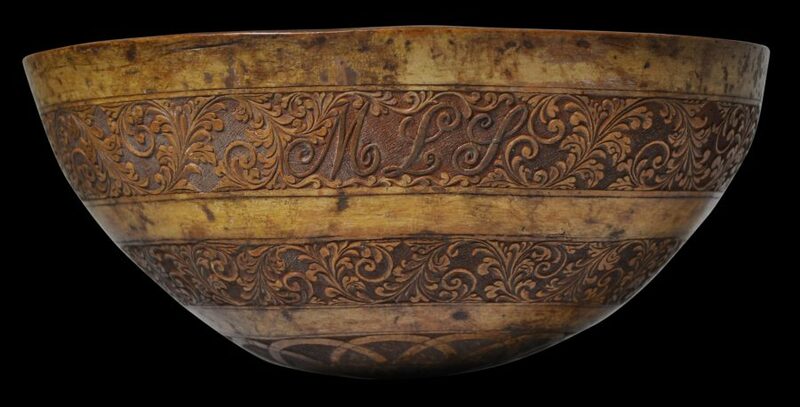 The exterior surface has been very well carved with bands of delicate, fern-like foliate scrolls, which incorporate a panel with the initials ‘M.L.S.’ (or ‘M.L’P.’) – undoubtedly the initials of a colonial administrator or the like. 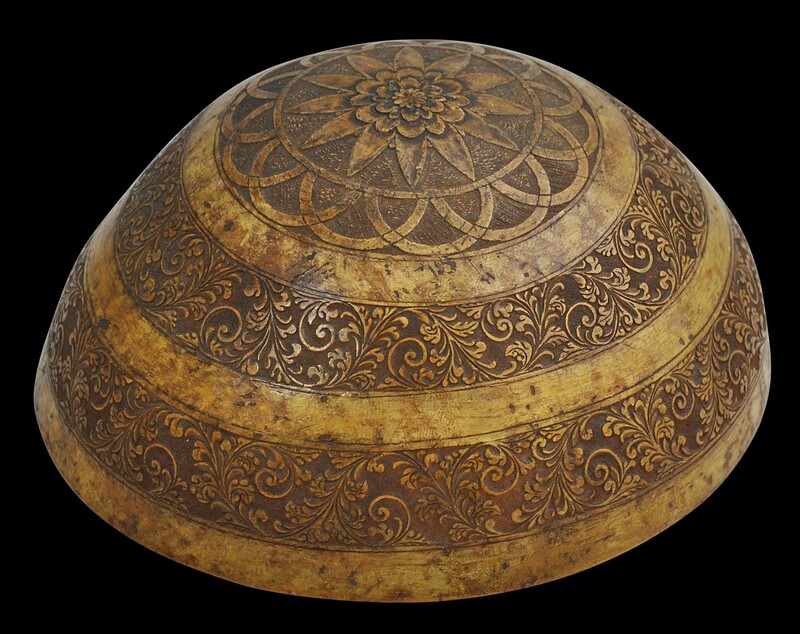 The base has been carved with a large flower motif surrounded by a band of overlapped lunettes. The interior has been stained red and has a lustrous patina. 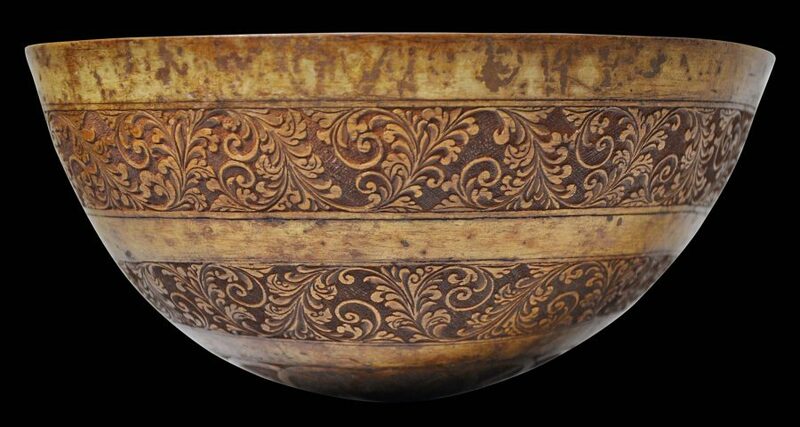 Clearly from Spanish Colonial South America and most probably from Peru where the indigenous people used modified gourds as drinking bowls. 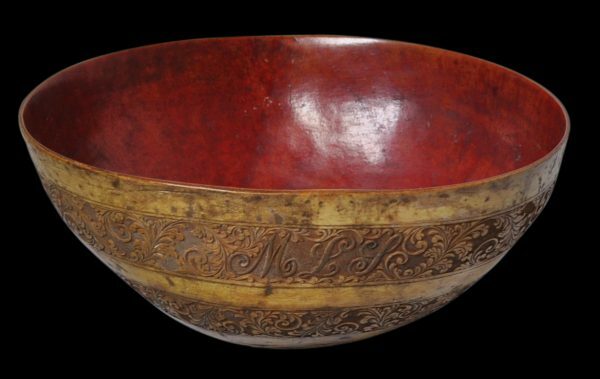 The scrollwork on this bowl relates well to that on 18th century silverwork and tapestries made in colonial South America. The bowl is in excellent condition. It is without splits, chips or repairs. The exterior has a fine, honeyed patina. Phipps, E. et al, The Colonial Andes: Tapestries and Silverwork 1530-1830, Metropolitan Museum of Art/Yale University Press, 2004.